If you follow me on any form of social media you’ll know that we eat out a lot and tend to be busy all the time so when we get the chance to have a date night in at home we jump on it! 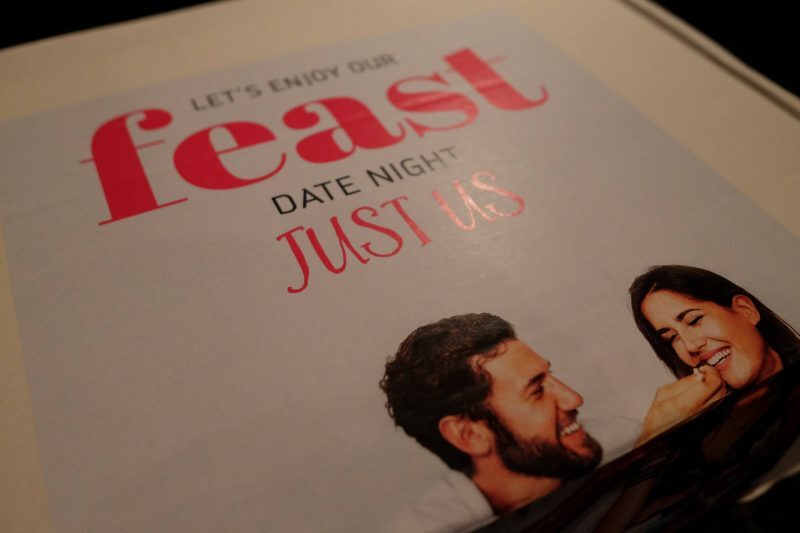 The team behind the Just Us, the Date Night Subscription Box sent us their November box which was a ‘Feast’ theme so was totally up our street. 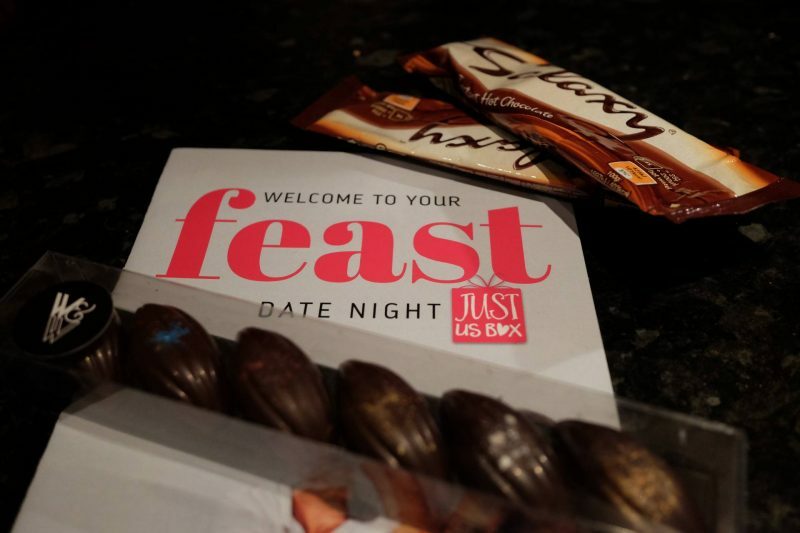 Subscribers will receive a monthly box containing everything needed for an amazing date night – without facebook or using Sky TV! Each month has a different theme and you will receive 4-6 themed items, a date night plan, activities, challenges and loads of love! One of the great things about the subscription is that you can choose one box, 3, 6, or 12 boxes and you can cancel anytime. What did we get with our box? This may get a little photo heavy as I took so many photos whilst we were on our date night! How did we get on with our box? 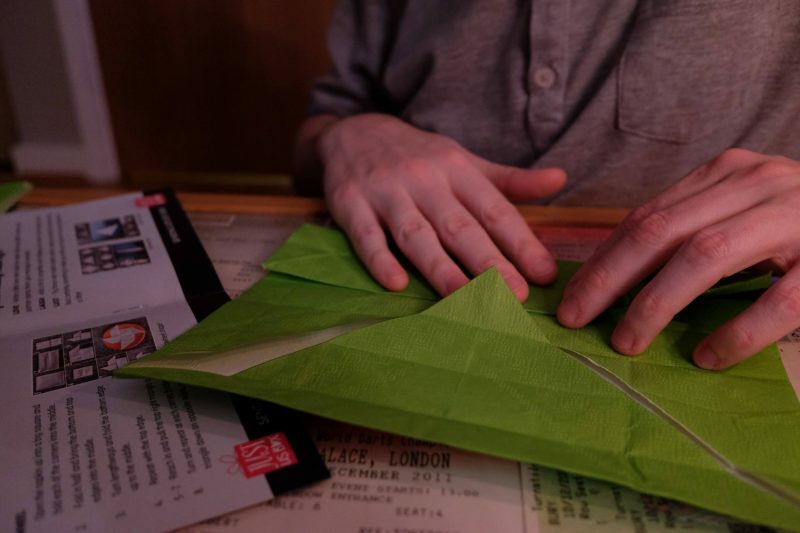 Obviously, starting with the starter box, we lit our candles, popped the popcorn into a bowl and followed the instructions to create origami with our paper napkins. As with every course, there were three options; love, laughter and lust, to follow. We opted to go with the fun laughter option as we’re not overly romantic and it suited our personalities a lot more. 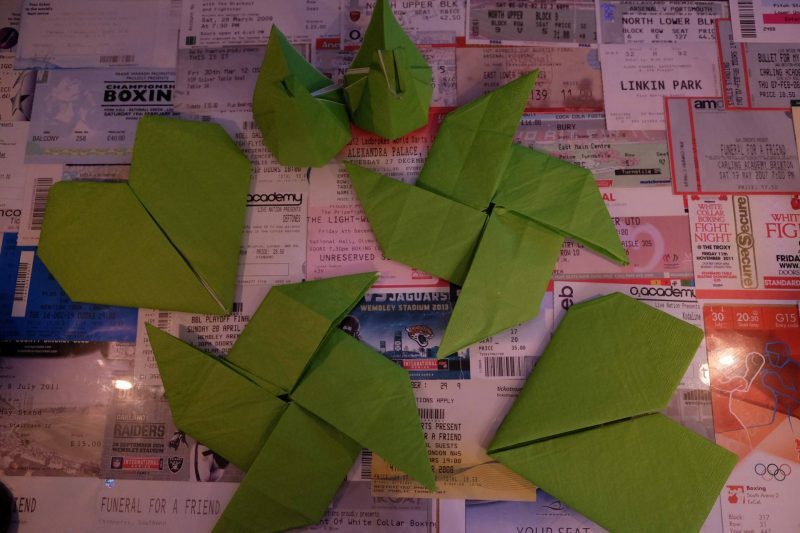 The laughter option was to have a battle as to who could make the best origami and it’s safe to say I won’t be starting an Etsy store with my creations! Can you guess which ones are mine?! As we had already eaten earlier in the evening we moved straight on to the main course box for the chocolate tasting. We tried all six chocolates and had to guess from the descriptions in our booklet as to what was what, and we were bloody useless! We only got one correct out of the six and we thought we had done so much better! We actually saved our vodka jellies for the weekend as we felt they’d be wasted so late on a weeknight! We made them and drank them on Saturday evening after a lunch out with friends. They were really good! For me, I’m not a huge fan of overpowering vodka and this was just perfect. 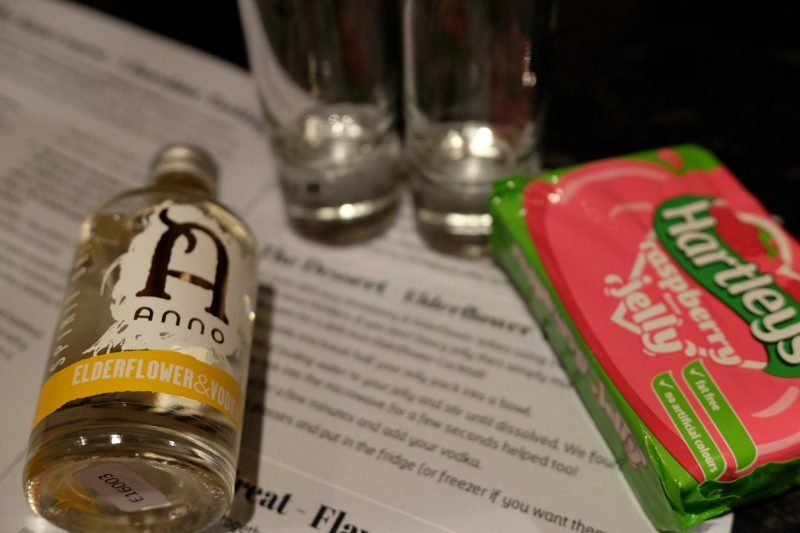 The vodka was also Elderflower flavour which really complimented the strawberry jelly. I also forgot how good jelly was! My favourite course, and Mike’s, was the bedtime treat box. Don’t worry guys, it’s not as naughty as it sounds. You have a miracle berry frootise, which is a plant native to West Africa that causes bitter and sour foods, such as lemons and rhubarb, consumed after eating Miracle Fruit berries, to taste sweet. It was the weirdest sensation! I hate lemon, and all things citrus but after our frootsie I ate half a lemon! It’s such a weird feeling. I even drunk Guinness which I find far too bitter to enjoy. 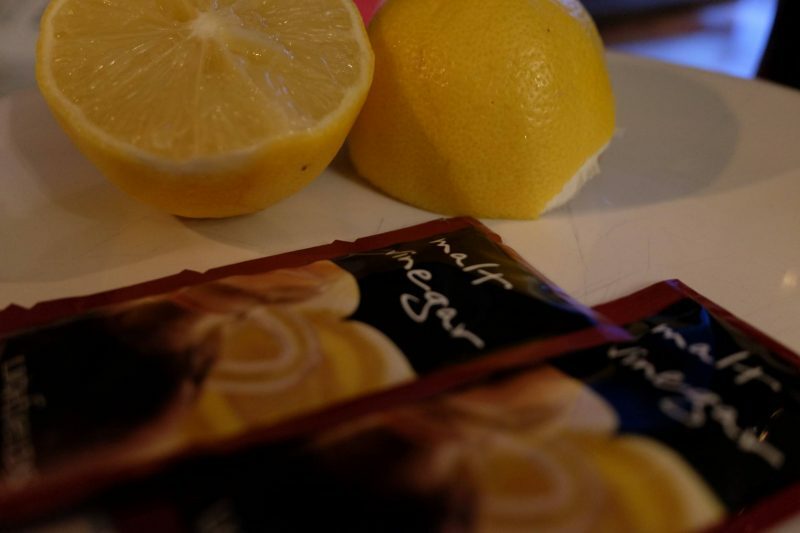 The effects last about an hour so it’s plenty of time to try other items at home too. 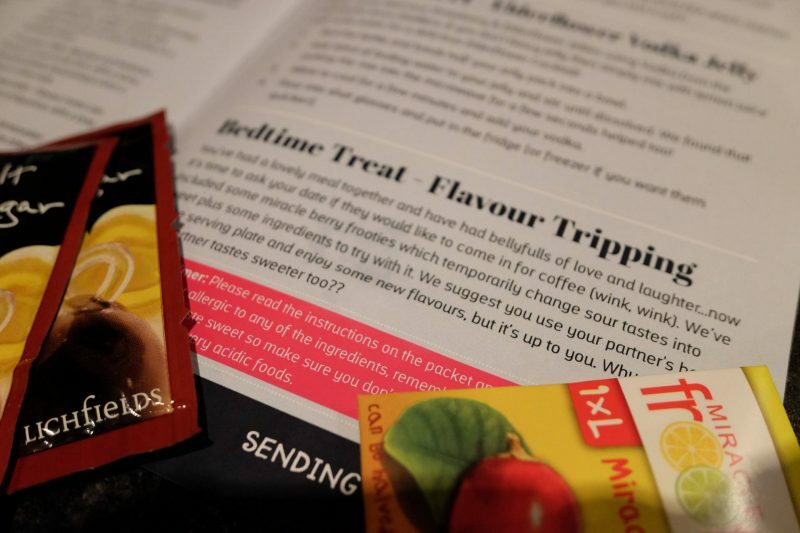 We really enjoyed our date night box, and had such a laugh whilst working through the courses. You can obviously make it as clean or as naughty as you want with following the love, laughter or lust or even mix up all of them! 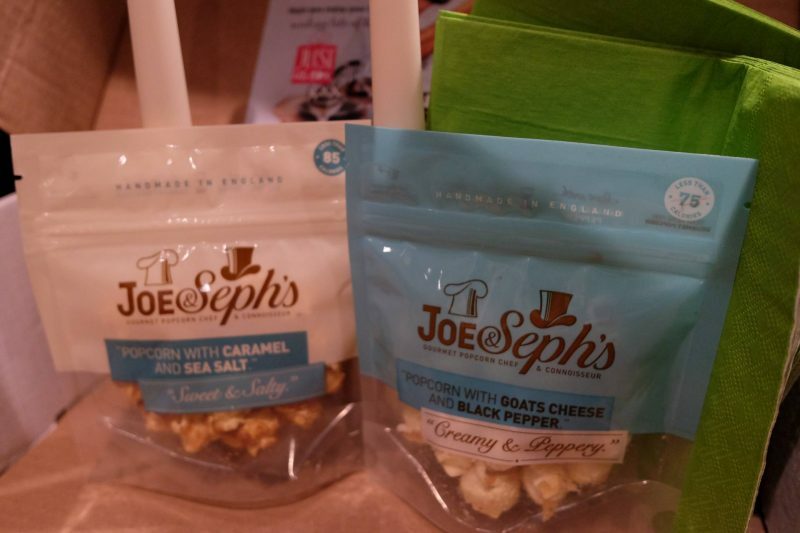 I’d highly recommend trying one of the boxes as they are different every time so you’ll have a different date night every time and if you use the code SQUIBB10 you can get 10% off! "Is it time for an Eternity Ring? *"